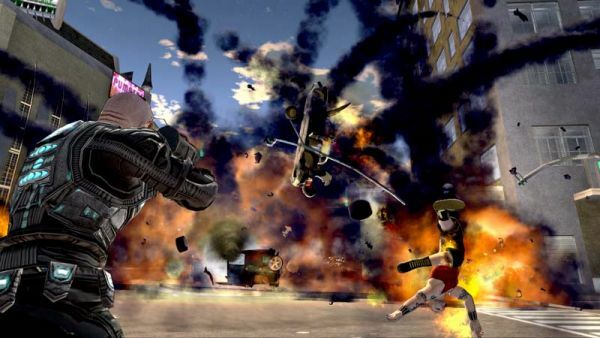 Believe it or not this Saturday will mark the three year anniversary of Crackdown's North American release. For a game that was originally "the one with the Halo 3 beta" - it certainly has done well for itself. Now with a sequel on the way this year, Crackdown is more than just an awesome game that we'll remember fondly - it's a franchise. This week we'll be jumping into Pacific City for a Crackdown co-op night. Still in search of those elusive agility or secret orbs? Trying to finish off those stunt rings? Just want to blow stuff up with a friend? Then Crackdown co-op night is your answer. If you want to join in you can use the game's built in matchmaking, leave your gamertag here, or look for one of our staff or community tags listed below. You can also confirm and invite other friends via our Facebook Event. If for some reason you don't own Crackdown yet, you can find it on Microsoft's Games on Demand service or on Amazon.